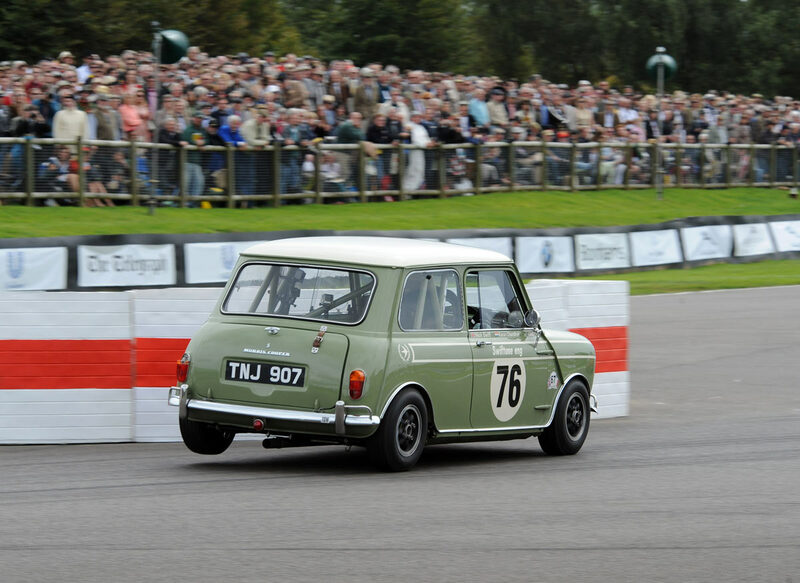 Swiftune returned to the Goodwood Members Meeting with the incredibly popular 1275 GT Longman Mini driven by Nick Swift and 2013 BTCC champion Andrew Jordan. 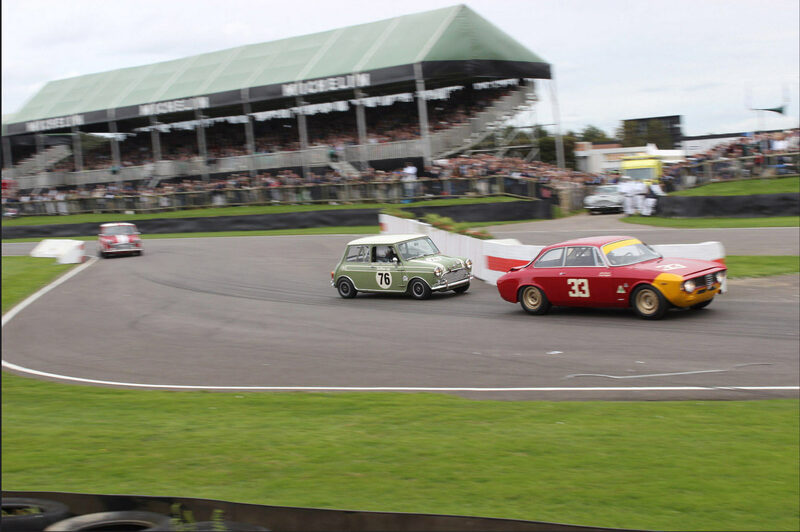 To on-lookers surprise the Mini was up amongst the 3.0 litre Ford Capris, 3.5 litre Rover SD1s and 5.7 litre Chevy Camaros and Nick and Andrew finished in a fantastic 3rd place. 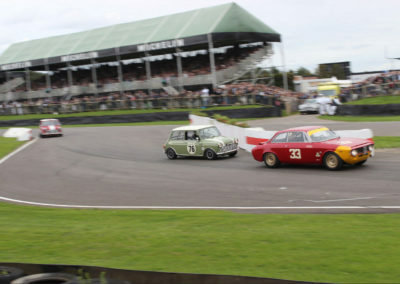 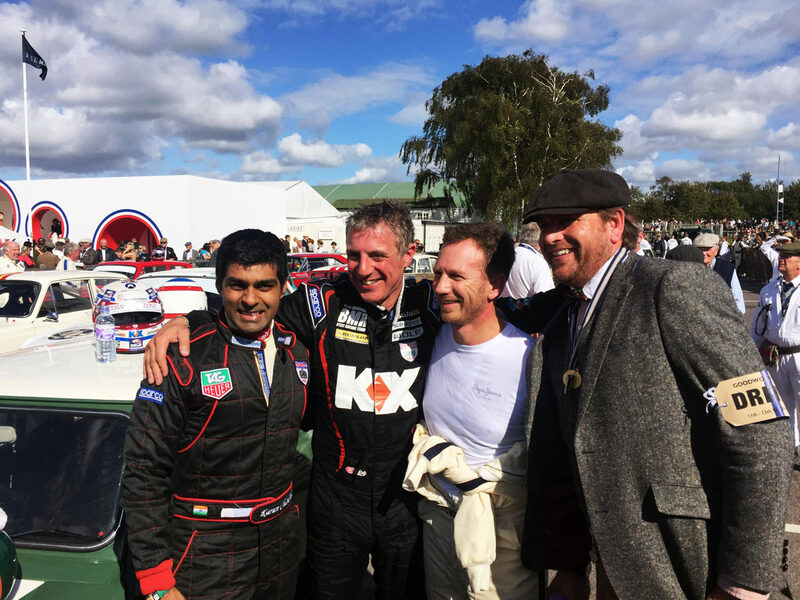 This year Goodwood wanted to place live in-car cameras in the Mini which meant viewers of the meeting at the track and online where able to witness the emotions of Nick Swift as he fought his way around the track in the Gerry Marshall Race (see below). 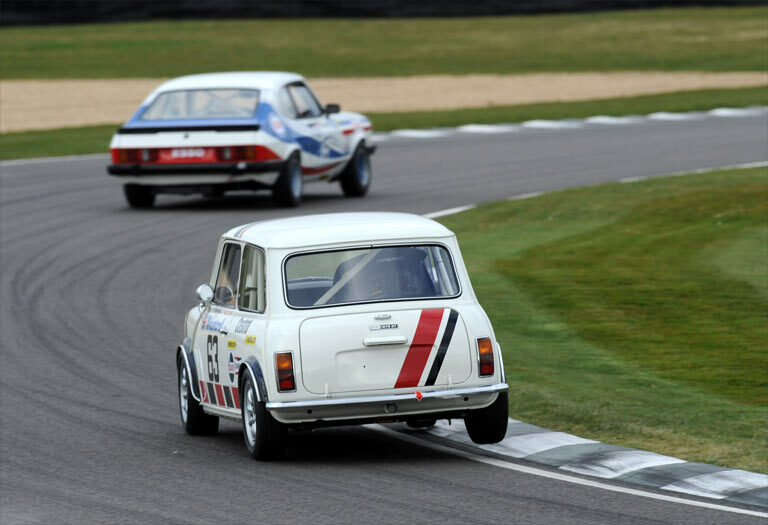 As well as the Longman Mini, Swiftune brought along the Jon Mowatt 1275 GT for its debut after being lovingly restored by Nick’s Father Glyn Swift. 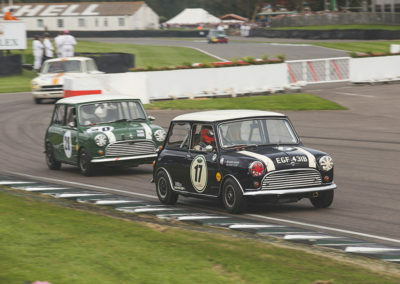 It was a pleasing sight to have both Father and son out on the track. 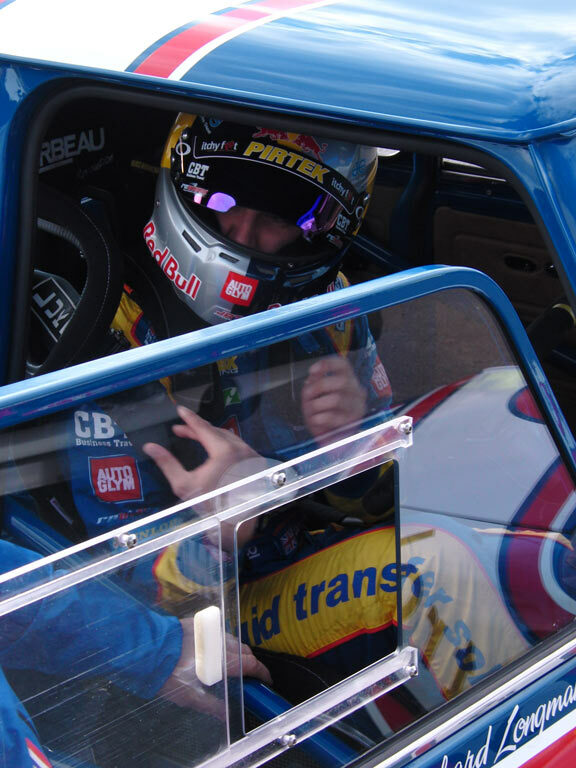 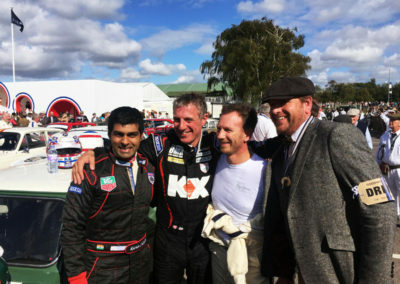 Glyn was partnered with Andrew’s BTCC competitor, twice champion Jason Plato. 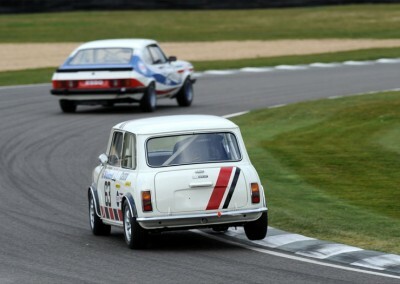 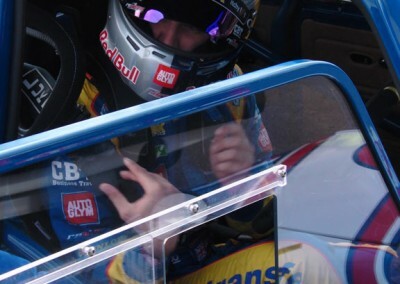 The pair had a flying weekend and finished 10th in the first race and 7th in the second race. 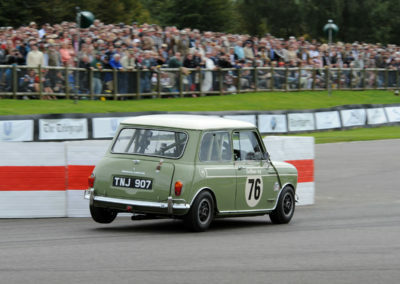 Jon Mowatt, the original owner of the car was on hand to see the car take to the track for the first time since being restored. 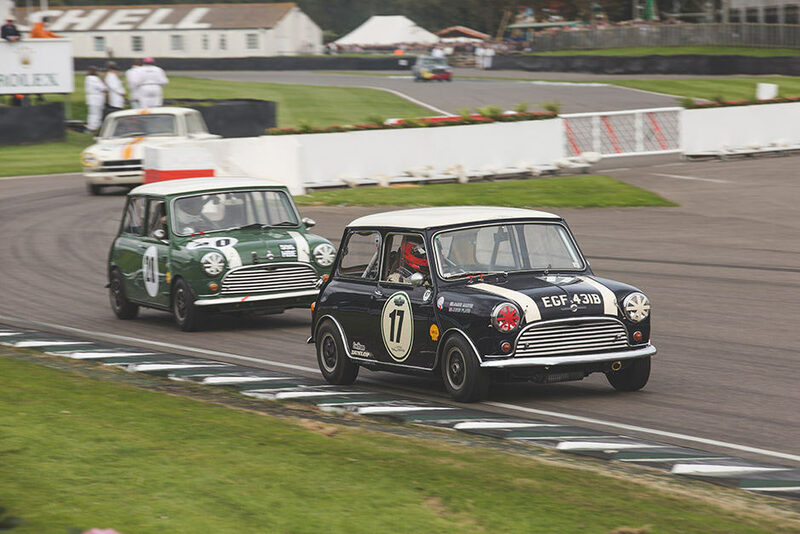 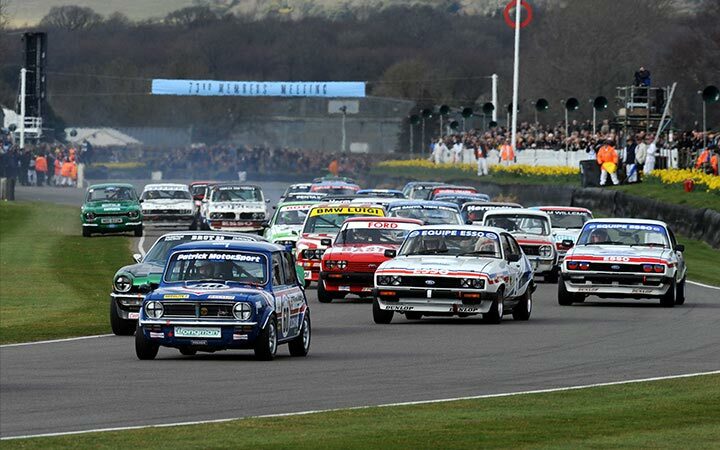 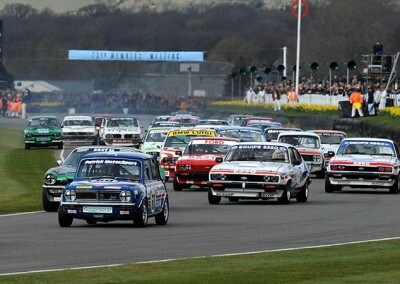 You can now re-live the whole event on the ITV4 Player, watch highlights from the races on the Goodwood website and watch the in-car highlights from the Longman 1275 GT Mini being driven by Nick Swift on our YouTube Page definitely worth a watch.